IF YOU think you're busy this time of year, imagine what the holidays must be like for the high-profile -- people whose careers revolve around trying to make Hawaii a better place. We managed to rope in a select few for a quick survey, asking them all to share their favorite holiday movie rental, what snacks go with it and a family tradition. 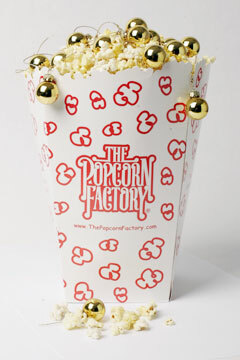 "A Christmas Carol" came up a few times, and it's popcorn hands down for most. (Whaddya know, just like regular folk.) If they can make time to pop in a holiday DVD with family, so can you. Here are the picks that are worth their while. Connie Lau of Hawaiian Electric Industries, which includes Hawaiian Electric Co., Inc. and American Savings Bank, grabs lunch with sons Eric, left, and Greg, and husband Russell, an executive of Finance Factors. Daughter Jennifer is away at college on the mainland. Movie: For holiday home movie viewing, we love the "007 Days of Christmas." (A James Bond movie marathon airing tomorrow through Dec. 29 on Spike TV). That's because our family went skiing one winter about six years ago during Christmas and New Year's, and we happened to catch that on TV. It was the best holiday ever -- just the five of us, lots of new snow, family time and the "007 Days of Christmas." Munchies: Buttered popcorn with furikake and kaki mochi, maybe a little li hing mui for a change. Tradition: Every year, we try to go on an exotic family vacation and take lots of family photos -- hundreds -- to get that one photo for our Christmas card. We've been doing that every year since Russell and I got married. Our first kid showed up in the photos when we were in Japan -- under a red kimono sash when I was pregnant. We have every card displayed at home, and you can see the family growing in number to five over the years. This year's photo is from our summer Alaska fishing trip. 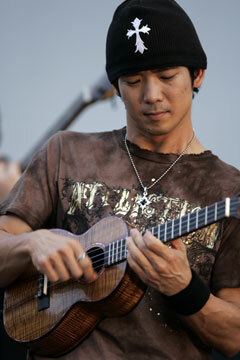 Jake Shimabukuro ran the Honolulu Marathon and performed afterward. Movie: My favorite holiday movie rental is "Elf." I'm a huge Will Ferrell fan. I love the sound of laughter throughout the house during Christmas, and Mr. Ferrell sure delivers! Munchies: Popcorn with mochi crunch and a bowl of sliced strawberries drizzled with balsamic vinegar from Williams Sonoma, one of my Aunty Lindy's famous fruit dishes. Broke da mout! Tradition: We don't really have any annual family traditions. We always make it a point to try new things every year. This year, I think our family will be going to Las Vegas! Ha ha ha! 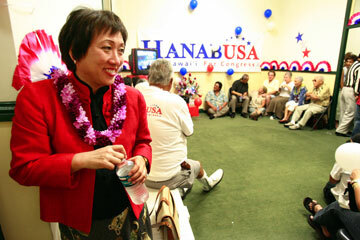 Colleen Hanabusa savors her victory as senator for the 21st district (Nakakuli - Makua). Movie: "A Christmas Carol," the George C. Scott version. It represents what many of us who have no children and/or who are caught up in our careers tend to do -- that is, to forget what the holidays really represent. It is so easy for us to look at the holidays in the "bah humbug" light or as such a nuisance (shopping for gifts, etc.). This movie reminds me that there are those with so little who can look forward to just the day; and why the rest of us should be grateful for all that we have. I like the George C. Scott version because it was well done and he's a great actor. Munchies: Dried squid -- my dog Little's favorite snack -- so this means we all eat it. Popcorn is a no-no for Little. Tradition: Decorating the Christmas tree. I have for years made all of the ornaments. I buy glass balls and ribbon, etc., then I put them together. Each year, I add about six to the tree. I'm getting to the point where I'll have to start all over again because I have too many ornaments made with the present theme, burgundy and gold. Miss Hawaii USA 2006 does a hula for "SoapTalk." Movie: If I had to choose one, it would be "Home Alone" (the first one). It is funny and you get a good laugh out of it, and at the same time it is heartwarming. It makes you appreciate being able to share Christmas with family. Munchies: My family loves to snack on just about anything. We have a counter in our kitchen just for candies, chips and li hing mui snacks. But if my mom felt in the mood to make her delicious, crispy cornflake-chocolate-chip cookies, it would definitely be first on the list of munchies. Tradition: Every year, the Ho'ohulis have a get-together, usually at Aunty Thelma's. We have a visit from Santa -- even for the "big kids," eat lots of ono food and play Christmas games. The best part about it is that my uncles, who are real "braddahs," really get into it. They even spell out words using their okoles; we all get a kick out of it, trying to figure out the words. It's a ton of fun. 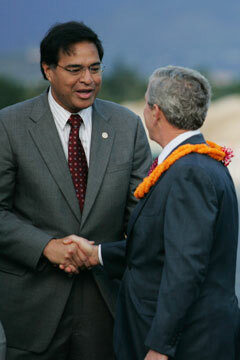 The mayor welcomes President Bush during his stopover last month. Movie: "The Sound of Music." While not thought of as a traditional holiday movie, the holiday season is all about families, helping others and sacrificing. And this movie oozes with that theme. One of my cherished childhood memories is seeing it as part of our family evening outing at the old Kuhio Theater. Tradition: Besides gathering around the tree after a great family event that included fellowship, food and, of course, entertainment, we also would have a prayer service with a spiritual message commemorating the birth of Jesus. More recently, my brother Gus' Christmas birthday and a special Christmas outing at my father's grave site in Laie have become traditions. For New Year's, I usually join Gail in Los Angeles to spend a traditional Japanese-style New Year celebration with her mom and family. 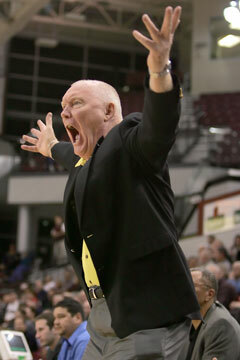 Coach Riley Wallace in action. Tradition: Christmas dinner. We have lots of people over with our family on Christmas Eve. And we all sing Christmas carols. 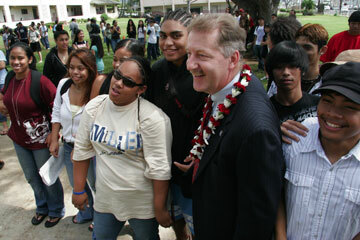 Peter Carlisle meets with Farrington students during a Kids Vote Rally in October. Movie: "A Christmas Carol" is my favorite movie during the holiday season because it is about a magnificently miserly malcontent who is transformed by a group of malevolent spirits into a kindly, content philanthropist. The curmudgeonly Scrooge is my hero. A "friend" once wrote about me, "His view of the employee-management relationship is that the sniveling malcontents ought to be extraordinarily grateful for the quarterly distribution of office supplies and for the $4 gift exchange he arranges each Christmas." Munchies: While watching Ebenezer I feast on bread and water. Tradition: The most noticeable Carlisle holiday tradition is the family photo Christmas card we send to about a thousand of our closest friends, including the Star-Bulletin. The photo depicts an unusual seasonal theme that sometimes confounds, confuses, amuses and even offends. For example, when the children were still in elementary school, we all dressed in hula skirts and coconut bras and toasted each other in front of a fireplace with champagne glasses. The card was entitled "Chestnuts Toasting." I received a call from a person associated with the Liquor Commission who said that she did not find young children toasting with what appeared to be alcohol either appropriate or amusing. I told her, "Have a happy holiday," and that she might enjoy a nice swim in the Molokai Channel. The conversation put me in such a good mood that I turned on the TV set and watched my hero Scrooge while enjoying a hot cup of gruel.